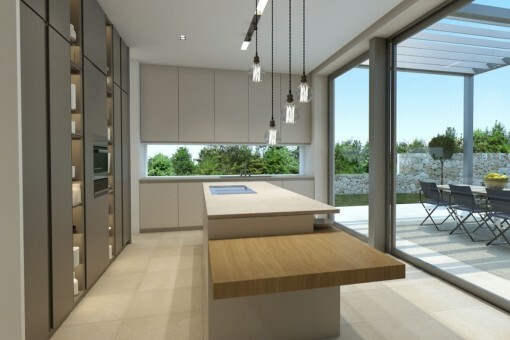 Very shortly the construction of this marvelous, modern villa will begin in one of the most desirable and quiet streets of Santa Ponsa, within easy reach of shops, amenities, beaches, golf courses and marinas, and only 15 minutes away from Palma. The project will create a spacious and bright house with a very balanced space distribution and a flowing connection between the interior and exterior areas. The pool area and the terraces with BBQ zone surround the house and are very private and inviting. 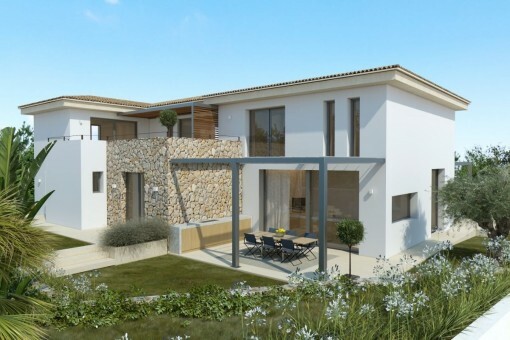 In addition there will also be a large roof terrace which will overlook the Bay of Santa Ponsa. The house will consist of 5 bedrooms and 5 bathrooms, 4 of which will be en suite, and a large living/dining area with integrated kitchen. There will also be a 2-car garage. 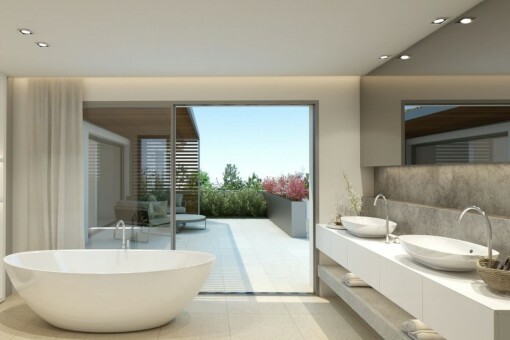 During the construction of the property only materials of the very highest quality will be used and all installations will be state-of-the-art technology. In this phase at the beginning of the project the new owner still has the possibility to change specifications and make modifications to enable the property to be adapted to meet his personal requirements. Ik ben geïnteresseerd in: Modern, newly-completed luxury villa in an excellent location in Santa Ponsa (Objekt-Nr.110332). 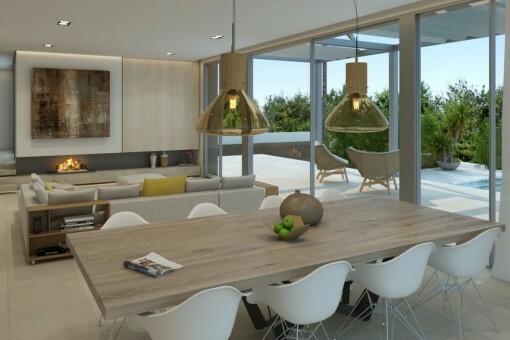 U leest nu: Modern, newly-completed luxury villa in an excellent location in Santa Ponsa-purchase · Porta Mallorquina Real Estate Beoordeling 4,8/5 uit 95 reviews.